Delicate foods sometimes require a delicate touch, and using direct heat on your stove top to heat up these foods is definitely not delicate. 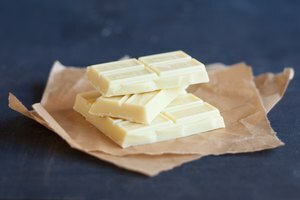 But if you have a recipe that requires melting chocolate or making a custard with a double boiler and you don't have one, don't throw out the recipe: Improvise. 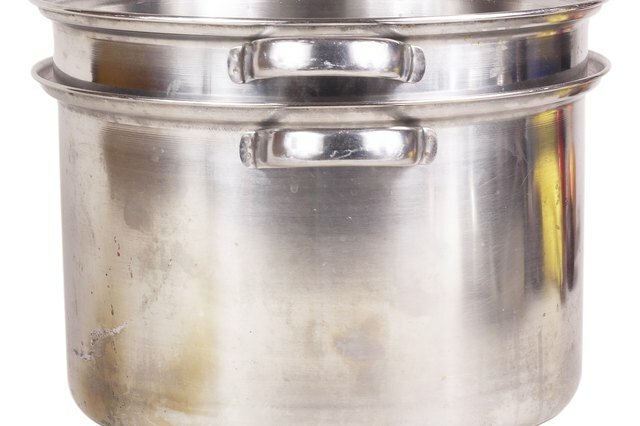 You probably already have items in your kitchen that you can put together to create your own impromptu double boiler and make that recipe of your dreams. 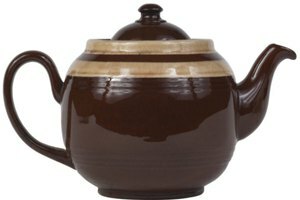 Find two pots that are different sizes. One pot needs to be able to sit inside the other without touching the bottom. If you don't have two pots that fit this description, try using a glass or metal bowl that fits on top of a pot without touching the bottom. Fill the larger pot about one-third full with water. You don't want to fill the pot up entirely because you don't want the water to touch the bottom of the smaller pot or bowl. Place the larger pot on the stove, and bring the water to a boil. Reduce the water to a simmer. Place the smaller pot inside the larger one, making sure the bottom does not touch the simmering water. Place whatever you want to heat or melt inside the smaller pot. The steam created by the simmering water and layer of air underneath the smaller pot will gently heat your item. Use pot holders or some other type of heat-resistant material when handling the double boiler. 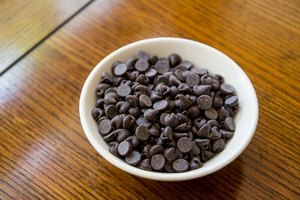 Take precautions when handling the double boiler; it will be very hot. 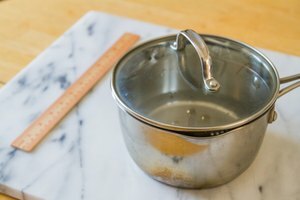 What Can I Substitute for a Double Boiler?